Malana is situated at an altitude of 3029 m above sea level, on the banks of the Malana river. 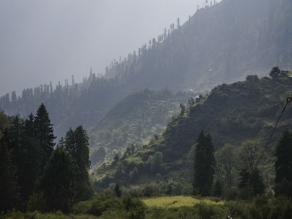 Located near the Kullu Valley, Malana offers mesmerising views of the Deo Tiba and Chandrakhani peaks. The population of the place is less and the local language spoken here is ‘Kanashi’, which is supposedly a mixture of Sanskrit and Tibetan dialects. 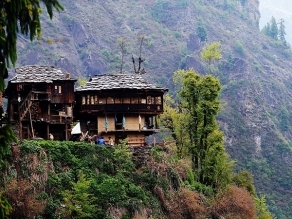 The lifestyle of the locals is simple as Malana is untouched by the glamour of the city life. The village administration is governed by 11 representatives of the Jamula Rishi Devta, the main deity of the region. These representatives make decisions in the name of the deity and their rulings go unchallenged. 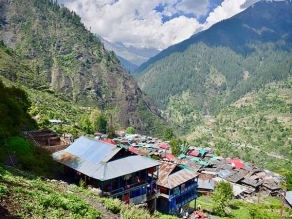 Known for its serene atmosphere and rich culture, Malana has been a part of several documentaries including Malana - A Lost Identity and Malana: Globalization of a Himalayan Village. The natives of the region religiously follow their customs and traditions, which is a significant feature of this place. According to folklore, the village of Malana was founded by soldiers of the army of Alexander III of Macedon. It is also believed that the natives of Malana are the descendants of Aryans. A dam project, known as the Malana Hydro Power Station, has played an important role in the development of the village. Travellers can visit the temple of Mahadev, which is located in proximity to Malana. Interacting with the natives is the best way to comprehend the culture and the customs they follow. Being in Malana, travellers can enjoy trekking and other similar activities. They are advised not to touch the belongings of the villagers as it is considered to be an offence. The nearest airport to Malana is situated in Kullu, which is 25 km away. Kullu Airport is directly linked to the airports of major cities like Pathankot, New Delhi, Chandigarh, Dharamshala and Shimla. International travellers can directly catch flights for Kullu from the airport in New Delhi. Joginder Nagar Railway Station is the nearest railhead to Malana and is connected to prominent Indian cities via Chandigarh railhead. Several private and state-owned buses ply regularly from Kullu for Malana. One can explore the beauty of Malana in the summer season as the weather is pleasant and favourable enough. Tourists who wish to travel by road can take buses to Kullu from Chandigarh and Delhi. The Joginder Nagar Railway Station is the nearest railhead, located at a distance of 125 km from Malana. It is directly linked to the Chandigarh railhead, which is connected to the major cities of India. Travellers can rent cabs and taxis from outside to reach Malana comfortably. Situated at a distance of around 25 km, Kullu Airport is the closest air base to Malana. It is connected to the airports of major cities like Delhi, Chandigarh, Pathankot, Dharamsala, and Shimla. Travellers coming from overseas can take connecting flights from New Delhi to Kullu. A cab or taxi can be hired from outside the airport to reach Malana.